Medical education opportunities extend beyond the wet lab or dry lab settings. 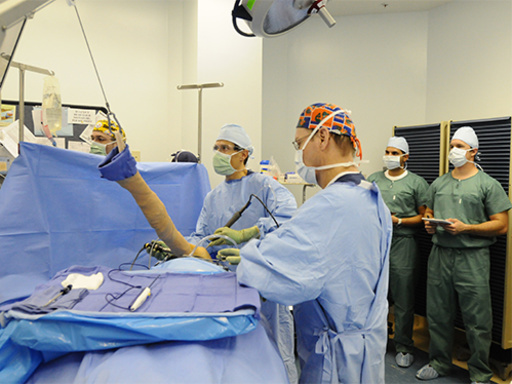 Physicians and other health care professionals may visit state-of-the-art facilities across the U.S. to observe the latest technologies and surgical techniques in action. Physician instructors guide observers through complex minimally invasive and arthroscopic procedures, demonstrating the use of Arthrex products in a live setting. Have an Arthrex representative contact me about the Physician Observation Program.